The Mazda 2, also known as the Mazda Demio, is a popular subcompact car that has been on sale in one form or another since 1987, when it was first introduced as the Mazda 121. Since its introduction the Mazda 2 variant has seen strong sales outside of the U.S., but Americans did not have much appreciation for the older models of Mazda’s main subcompact car. The 323 was Mazda’s main supermini/subcompact car being sold in the U.S., though poor sales in the early 90’s led to its discontinuation in 1994. It would not be until the 2010 model year that Mazda finally unveiled their replacement, the sleeker and more efficient Mazda 2. This article will discuss how auto transport services for a Mazda 2 work so you know what you’re getting yourself into when you ship your own. The Mazda 2, for a smaller, more economical car, comes with many features standard that other vehicles do not. The main features that Mazda likes to espouse as being standard are their remote keyless entry system and their MP3-compatible stereo system, which are two features that many companies consider to be…well, not standard. The Mazda 2 also gets an estimated 35 mpg-highway, which is a fantastic number for such a small vehicle (though it is not the most fuel-efficient car in its class). It comes with advanced safety features including a redesigned traction control system and an upgraded dynamic stability control system. The Mazda 2 currently comes in two different variants, the Sport package and the Touring package. Auto transport services for a Mazda 2 are usually pretty standard. All auto transport companies impose some type of fee for overweight or oversize vehicles, but as the Mazda 2 is neither you will not have to pay any fees for transporting yours. 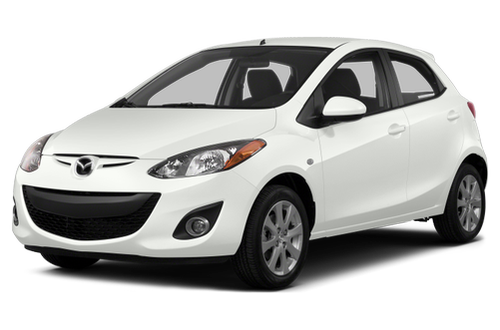 The most important aspects of your auto transport quote for your Mazda 2 is the location of the pickup and delivery cities. Most major auto transport companies like to ship to and from heavily populated areas, typically along popular interstate highways. The farther that an auto transport carriers has to travel, the more expensive their price will be, and it increases further if they have to deviate from their main routes or go far out of their way. While it certainly is possible to ship to or from out-of-the-way locations, it will typically cost more, so if you need auto transport on a budget it might be best to talk to a shipping representative about ways you can save some money. But regardless of where you’re shipping to or from, or what your budget is, American Auto Shipping is here to help you. You can fill out our free online auto transport quote request form and receive an instant quote. We clear all our auto transport carriers for reliability ahead of time, which means we make sure they are all fully licensed, bonded and insured before we ever send them to pick up your car. You can also call our toll-free telephone number and speak to one of our own live representatives if you have questions or concerns. So go ahead, fill out our free form, or give us a quick call, and find out what American Auto Shipping can do for you and all your auto transport needs.